[ Note ] You can find a full preview of the skin HERE. Shaco‘s also received icons.Â From left to right:Â Passive, Q, W, E, R and detonate R.
Itâ€™s time to get your snipe on. Dust off your duster and saddle up, because High Noon Jhinâ€™s cominâ€™ to town. The skinâ€™ll set you back a couple of gold nuggets – 1350 RP if youâ€™re into digital moolah – or can be picked up with Jhinâ€™s launch bundle for 1837 RP. Youâ€™ve got until 23:59 PT on 2/8 to pick up the bundle – after that, itâ€™s headinâ€™ for the hills. Yeehaw? Yeehaw. 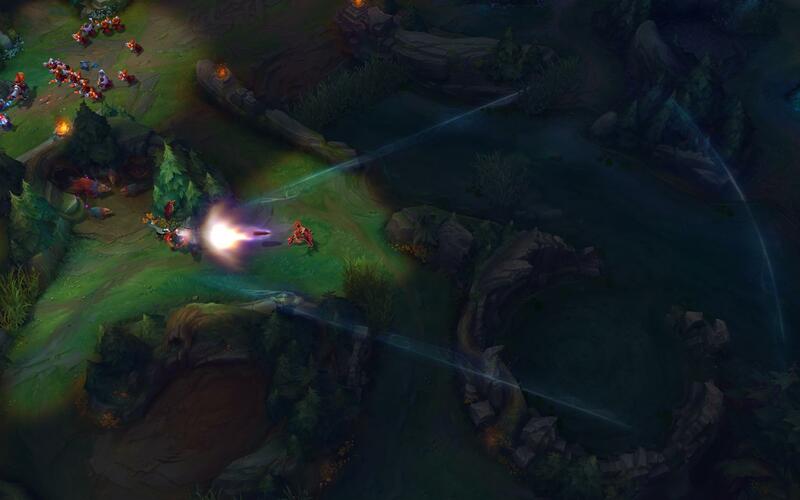 Active: Jhin fires a massively long range shot that goes through minions and deals 50/85/120/155/190 [+0.7 of Total AD] physical damage to the first enemy Champion hit (deals 65% damage to minions and neutral monsters). If the enemy Champion has already been marked, Deadly Flourish will additionally root them for 0.75/1/1.25/1.50/1.75 seconds and Jhin will gain the bonus Movement Speed from his fourth-hit crit. Jhin places a Lotus trap on the ground that turns invisible after arming. Enemy champions that walk over the trap trigger it, revealing them for 4 seconds and marking them with Deadly Flourish and creating a large slowing zone that slows for 35%. After 2 seconds,Â the trap detonates,Â dealingÂ 20/80/140/200/260 [+1.2 of Total AD] [+1.0 of AP] magic damage to enemy Champions (minions and neutral monsters are dealt 65% damage). High Noon Jhin is now available for 1350 RP. 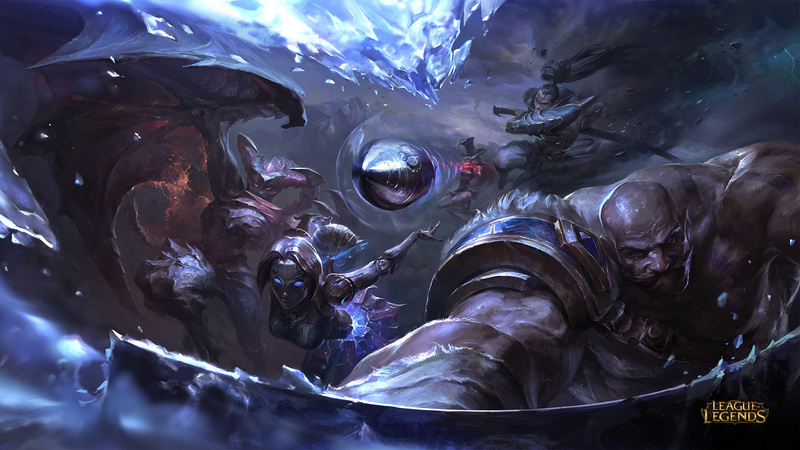 Cooldown increased fromÂ 9/8.5/8/7.5/7 seconds toÂ 11/10/9/8/7Â [revert on the change in this PBE update]. Mana Cost decreased fromÂ 35/45/55/65/75 toÂ 35/40/45/50/55. Additionally, if Starcall damages an enemy Champion, Soraka gains Alignment. Alignment: RestoreÂ 30/45/60/75/90 [+0.1 AP] Health andÂ 20/30/40/50/60 [+0.1 AP] Mana over 5 seconds. Base Heal decreased fromÂ 120/150/180/210/240Â to 70/100/130/160/190. Now, if Astral Infusion is cast while Alignment is ticking, Soraka will transfer the Alignment buff from herself to the healed ally. [ Note ] Xin Zhao got heavily buffed on the PBE. You can find the changes HERE. Bonus Damage on third hit decreased from 40/50/60/70/80%Â to 25/37.5/50/62.5%/75%. On-hit magic damage from Energized attack increased from 30 to 50. Damage reduction from Lament passive increased from 12% to 16%. Magic damage on Firecannon passive proc decreased from 50-200 to 50-150 [scales with Champion level]. Magic damage on Shiv Lightning passive proc increased from 30-100 to 50-100Â [scales with Champion level]. If you’re below 5% of your Maximum HP, the 6% of damage taken by allies won’t be redirected to you. Dragon’s Wrath [2nd Stack]Â – Grants your attacks on turrets an additional firey burnÂ for 30 damage over 2 seconds. /Â Old version: Grants 15% damage to towers/buildings. Dragon’s Dominance [4th Stack]– You take 30% less damage from turrets. /Â Old version: Grants 15% damage to minions/monsters. Check out Heartseeker Orianna, Sweetheart Sona, the Harpseeker Ward Skin and a new AD Assassin item -Â Duskblade of Draktharr! Damage is now additionally dealt to enemies around the initial target. Now has Caustic Spittle’s passive [+15/20/25/30/35% bonus Attack Speed]. Base damage on returning hit decreasedÂ from 85/145/205/265/325 toÂ 85/135/185/235/285. Alignment: RestoreÂ 30/45/60/75/90 Health andÂ 20/30/40/50/60 Mana over 5 seconds. Bonus Damage on third hit decreased from 60/70/80/90/100% toÂ 40/50/60/70/80%.